On arrival at New Delhi Airport or Railway Station we will be please to receive you & take you to the hotel.Half day sight seeing of New Delhi Which Includes Visit to India Gate, Qutub Minar, Red Fort, Jama Masjid, Raj Ghat over night stay at Hotel..
After morning breakfast drive to Agra and check-in to hotel. 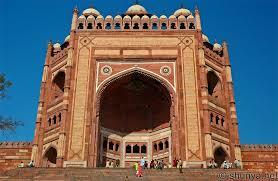 Afternoon enjoy the architectural modern day wonder of the world, the incomparable Taj Mahal. This monument is a fine example of the fusion of many architectural styles is one of the wonders of the modern world. Built in 1652 by Emperor Sahajahan. Agra the zenith of art and an enshrined romance. Taj Mahal a poem in white marble which took 22 years to build by 20,000 skilled artisans who inlaid the white marble edifice with precious and semi precious stones also visit the Agra Fort. Overnight at Hotel. After breakfast enjoy visit of Amber Fort the old capital of rulers of Jaipur. Here one takes an elephant to ride to the palace situated on the hill. 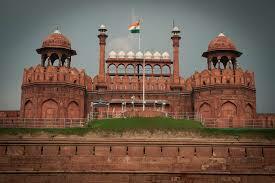 Afternoon visit city including City Palace, Jantar Mantar, Hawa Mahal, Birla Mandir and Jai Singh's Observatory. Evening visit chokhi dhani an ethnic village where you can enjoy all village related activities like Rajasthani folk dances, puppet shows, magic shows, rides followed by traditional Rajasthani Dinner. Overnight at Hotel. After breakfast we will en-route to Jodhpur on the way visit to Pushkar Brahma temple, ghats. 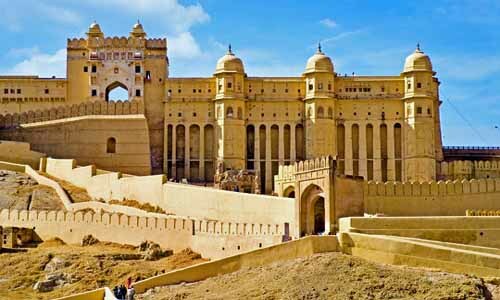 On Arriving at Jodhpur & checkin to the hotel then after we will proceed for sightseeing of Jodhpur includes the visit Mehrangarh Fort and Jaswant Thada. overnight at hotel. After breakfast we will en-route to Udaiput to visit famous Jain Temple of Ranakpur. On Arrival at udaipur check in to the Hotel. Overnight at Hotel. After breakfast sightseeing of Udaipur and visit Jagdish Temple, City Palace, Bhartiya Lok Kala Museum, after the long day visit enjoy the evening bout ride at Pichola Lake.Overnight at Hotel. After breakfast we will drop you to Udaipur airport / railway station for your onward journey.